The first thing to do when the rain (or snow up north) starts to fall is slow down. 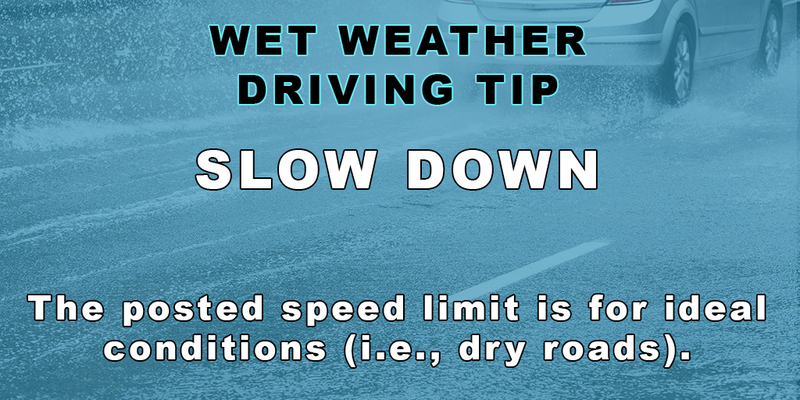 The standard rule of thumb is to slow down by a third in the rain, and by at least half in the snow. Slow more if ice may be present. Make sure your tires are in great shape and that they are inflated properly.